MyWish & RSK collaboration (Bitcoin Smart Contracts). Blog / MyWish & RSK collaboration (Bitcoin Smart Contracts). MyWish & RSK platforms entered into collaboration to make Bitcoin Smart Contracts available for users with zero programming knowledge. To be fair, this is one of a couple possible ways in which to use Smart Contracts. In this article, Smart Contracts are defined as a specific code to complement or completely replace customary legal contracts. Basically, Smart Contracts are the contracts on which terms are encoded in computer language instead of legal language. Up until now, the Smart Contract code has been fully supported by Ethereum, but never Bitcoin. We live in a great era, we are amazed by electric cars in the cosmos and robots with a sense of touch, but the issue of Bitcoin Smart Contracts was still hanging in the air until now. April 2018 has finally brought the solution to the riddle of a mysterious blockchain code that couldn’t find a sophisticated method use. This was made possible by 2 innovative blockchain platforms: RSK and MyWish. 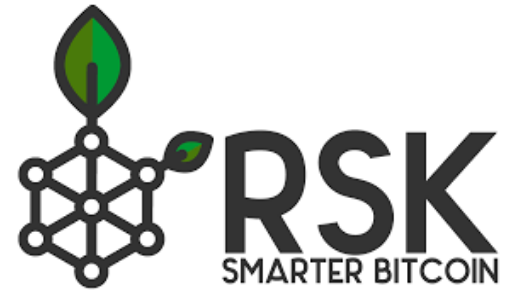 RSK is the first general purpose Smart Contract platform secured by the Bitcoin Network. RSK platform uses Bitcoin as its native currency. A 2-Way Peg between Bitcoin blockchain and RSK blockchain ensures a fixed conversion between BTC and SBTC. (1 SBTC = 1 BTC). MyWish is a full-cycle, decentralized Smart Contract platform with the following uses: Smart Contracts creation, Audit, Deployment, Systematic calling on schedule, Execution. The MyWish platform makes it affordable for everyone who wants to create a Smart Contract based on Bitcoin. RSK network is the platform to run MyWish Smart Contracts. This platform is in charge of converting Bitcoins in SmartBTC to make any transaction possible; mind that you will withdraw your invested Bitcoins in the end. SmartBTC is needed to break the code of BTC, which makes the creation of Smart Contract 98% impossible. The first launched Bitcoin Smart Contract is dedicated to the last will and testament. Any person who holds their cryptocurrency investments in the form of Bitcoin could transfer savings to their family or friends in the event of their sudden illness or death. Due to the fact that security and reliability are 2 components that the independent world of Blockchain is missing, these two (MyWish platform and RSK platform) teams found the most trustworthy solution in response to that. A Smart Contract secures your assets no matter what. The original terms of Smart Contracts can’t be changed by anybody but the other. As Smart Contracts bring stability and security, the demand increases more and more every day. In the near future Bitcoin Smart Contracts will cover almost every single aspect of life so that cryptocurrency becomes part of the mainstream. They are there when you want them to protect you. The world’s first Bitcoin Smart Contracts are supported by RSK network and offered in an easy-to-use way by MyWish. MyWish and RSK platforms that offer customer support and willingly assist their clients in facing the future with reliable cryptocurrency transactions. MyWish is a full cycle Decentralized platform which works on creating Smart contracts, Audit, Deployment, Systematic calling on schedule, Execution. It’s a mobile application and a website with a user-friendly interface based on Ethereum (NEO and BTC/RSK) where everyone can create a Smart contract and manage it. All contract’s templates have been tested & reviewed by team of professional developers.